Yup. 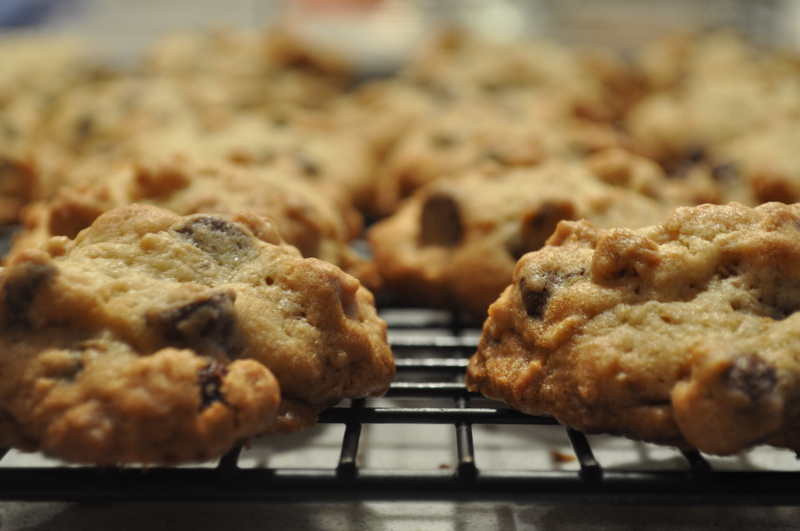 I’m posting cereal box chocolate chip cookies today. Because it’s my mom’s recipe! Well, my mom’s recipe in that she copied it directly from the back of the box. She followed the directions exactly, wrote the precise recipe in her notebook and whipped it out whenever we ever needed cookies. But this cookie recipe is far from standard. I mean, along with the butter, flour, chocolate chip combo in any cookie recipe, you’ve got the oats, nuts and raisins. * This is a pretty amped up chocolate chip cookie. Rustic. Homey. You know, mom-ish. Delicious. *I don’t like raisins. Never did, never will. 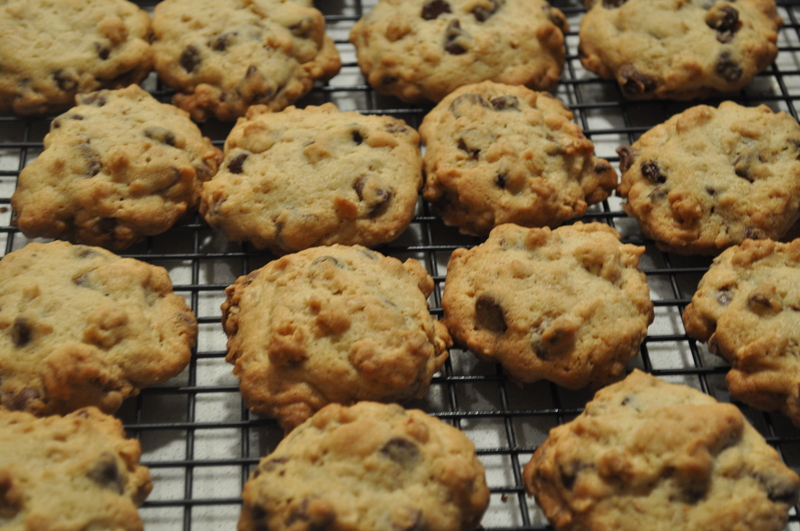 In these cookies, I just think of them as squishy chocolate chips. **This is mostly because my mom has given up baking even this one cookie recipe. She refused when I asked her to make them for me. 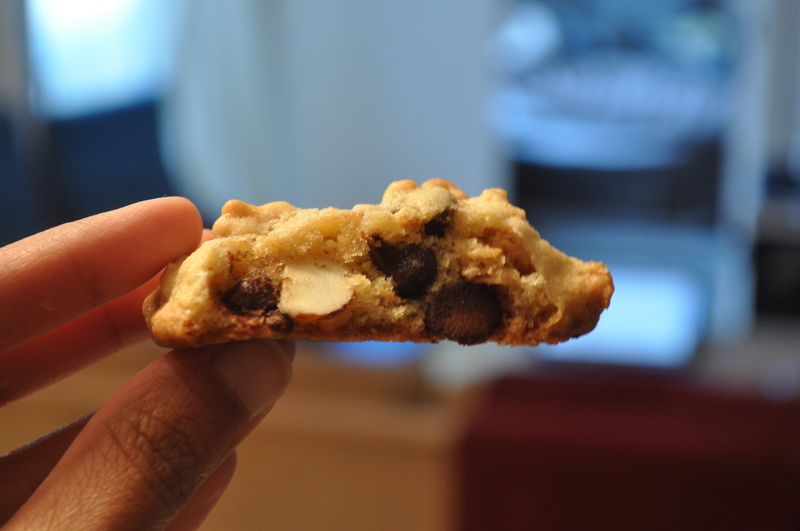 Apparently, no more bake sales = no more cookies. Preheat oven to 350 degrees. Beat the butter and sugars until fluffy. Add eggs (and vanilla) and beat until combined. 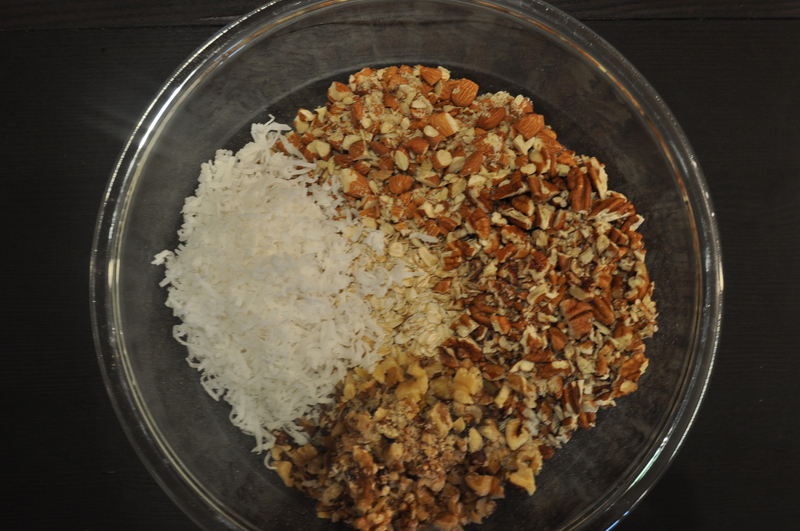 In a separate bowl, combine the dry ingredients. Mix it into the wet ingredients. 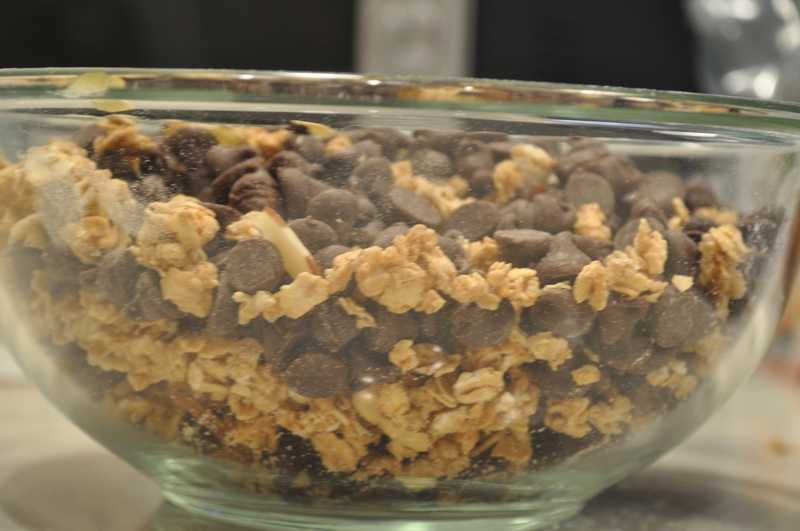 Add the cereal and chocolate chips and stir to combine. 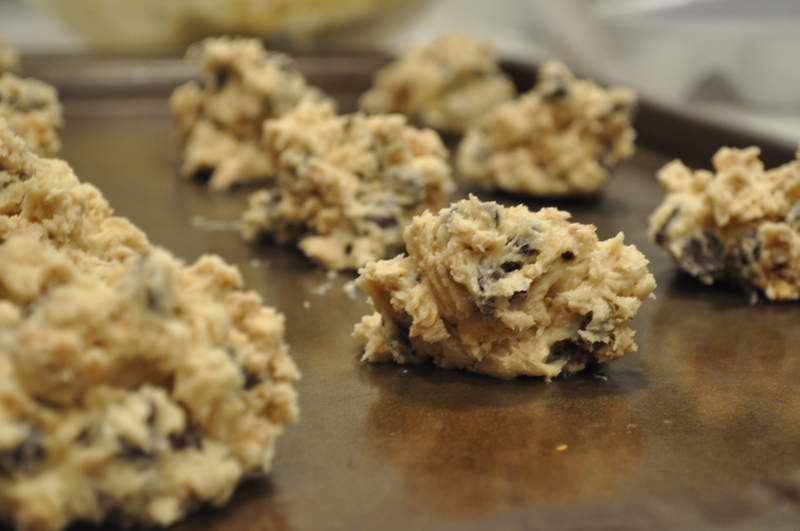 Drop tablespoon-fulls of dough onto ungreased baking sheets and bake for 12-15 minutes, until a golden brown. Transfer to a wire rack to cool completely. I don’t know what it is about January. It’s by far the worst month of the year. All the festive decorations and trees are depressingly on the side of the driveway, all those delicious holiday flavored creamers are gone, it’s still ridiculously cold outside but you can no longer look forward to sledding during the time off, and pumpkin flavored things no longer seem appropriate. Oh and. You really just can’t cut into another butternut squash. 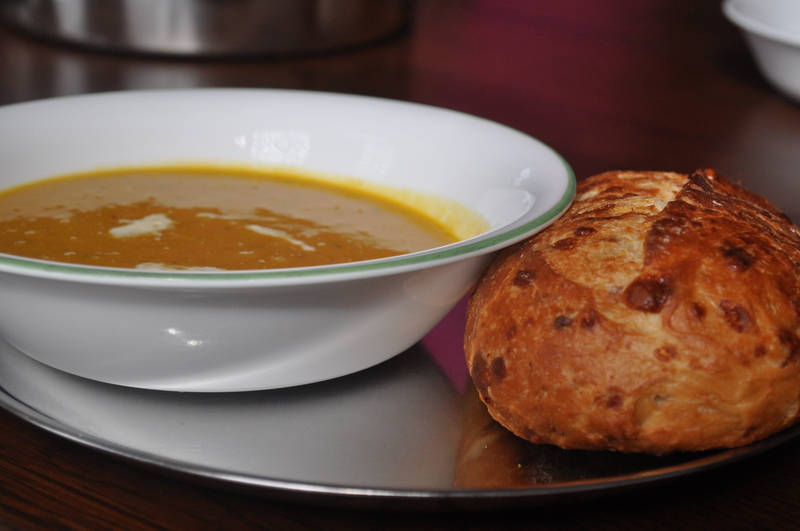 And so I give you butternut squash soup! Using frozen butternut squash. It’s brilliant and so fitting for this painfully lethargic time of year. 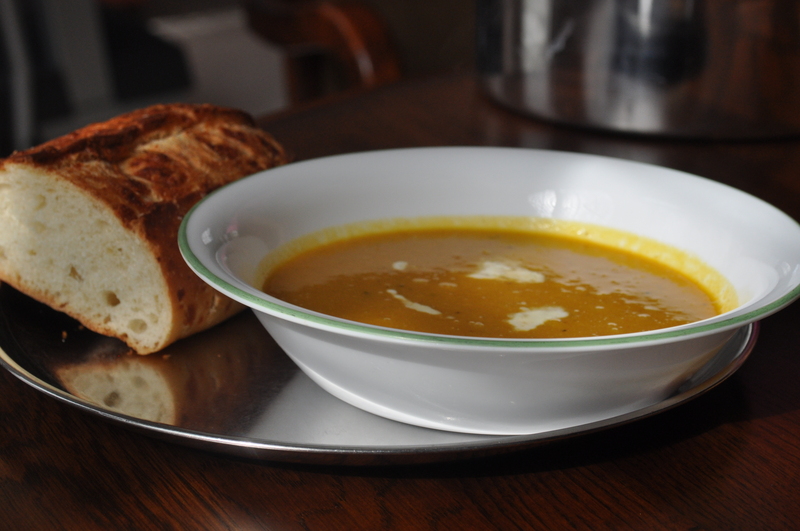 Eat it steaming with a warm piece of fresh baguette and you may even forget that it’s January. Or eat it really slowly and maybe it will be February by the time you’re done. Yum. 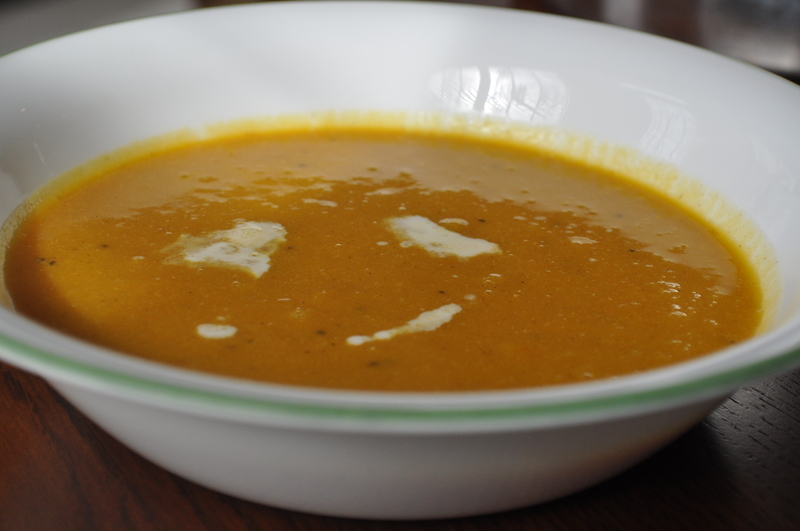 This soup should taste tangy and sweet and spicy, but no taste overwhelming the others. I have put the amounts that I prefer, but start out slow and adjust according to your taste. 1. Heat a medium sized pot over medium heat and add olive oil. Sautee onions until they are translucent. Add ginger and let it soften. Add the garlic and let it cook for an additional minute. 2. Add brown sugar and stir to dissolve. Immediately after the sugar has dissolved, add stock and defrosted squash. Stir to combine everything and let it heat up. 3. Add honey, apple cider vinegar, black pepper, cinnamon, all spice, lemon juice and salt. Place cinnamon stick in the soup. 4. 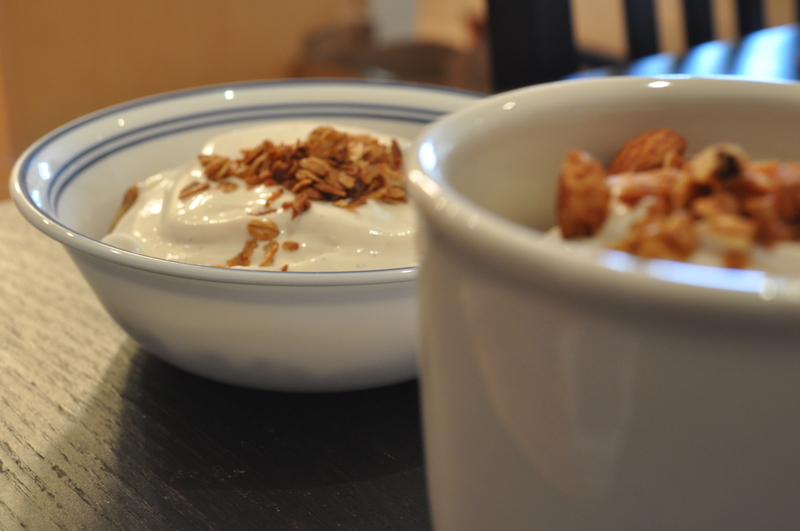 Whisk in the yogurt and taste. Let the soup heat up again. Adjust all of the seasonings, if needed. 5. Blend the soup either using an immersion blender, or a regular blender, making sure that the cinnamon stick is discarded. 6. Let the soup come to a simmer and whisk in cream. Serve with warmed bread. 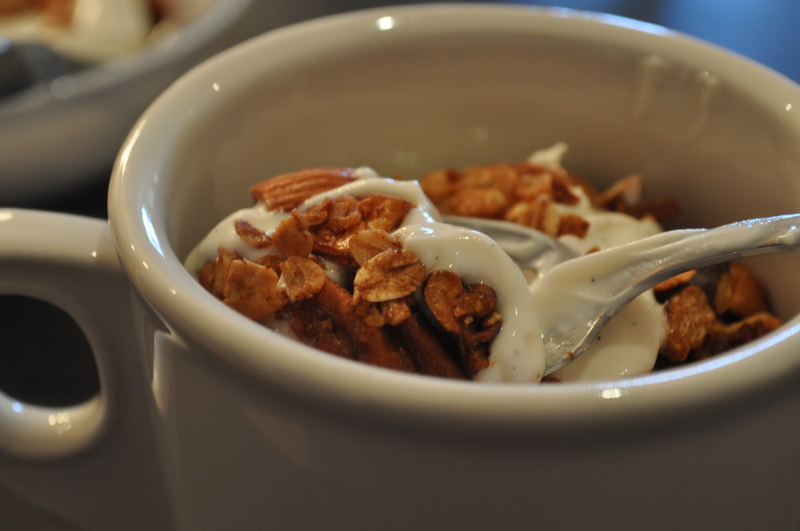 Or with granola sprinkled on top! To me, January screams pudding. I know, I know, just last week, I went on about how this is a resolution-filled time of year and that you should be healthy. And I know that so many of you are so tempted to break something that you have kept up for 12 whole days, but are determined not to. And then here I come, luring you with my chocolate pudding, telling you to have it just because I think that it embodies a month?! It’s just soooo good. No, really. It’s so good that I dare say that you should forget about those resolutions. It’s creamy, extremely satisfying, and warming, especially during this time of year when you would rather sit in the car because of the seat heaters than make the frigid 3 minute walk to the apartment. It is so very cozy and delicious. And the real best part, it’s not even that bad for you! Well, relatively. 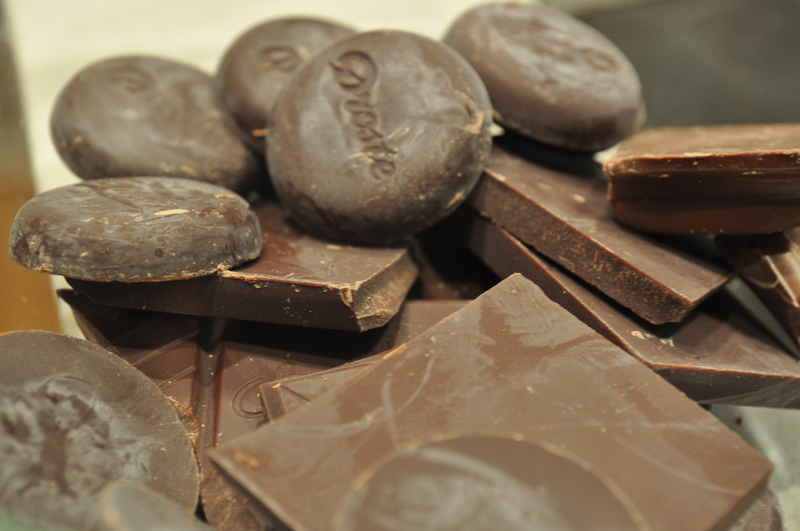 I’m no calorie expert, but I think when you swap out 2% milk for whole, and dark chocolate for the milk variety, we’re doing our hearts a real favor. Maybe even adding years! And, a little goes a long way with this pudding. Oh and, you can eat it with fruit! This is practically health food. 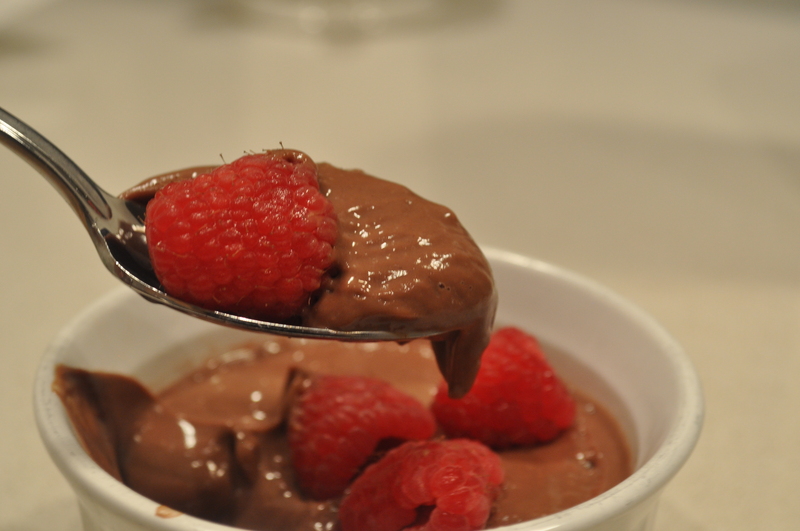 This pudding – it will make you feel taller. Which is good because my resolution is to have better posture. 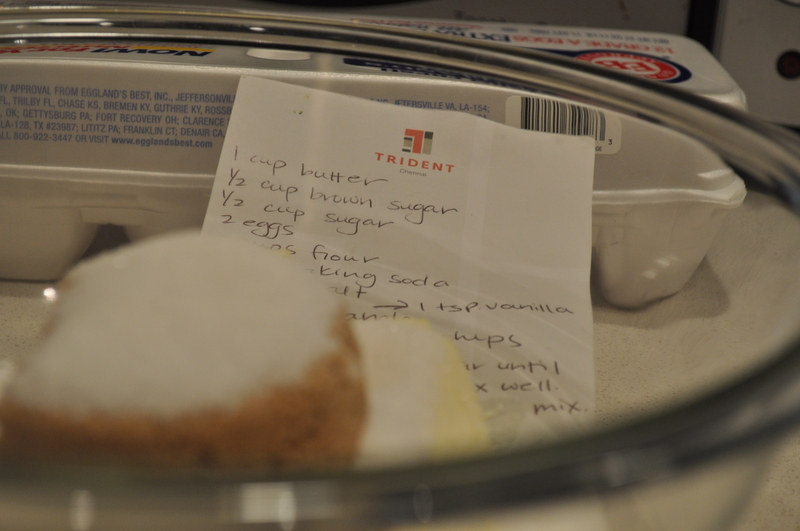 Mix cornstarch, sugar and salt in the top of a double boiler. 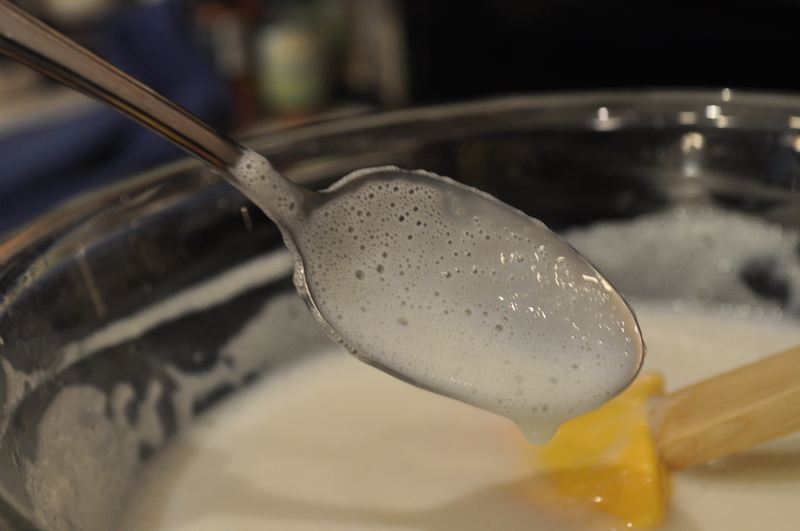 Slowly whisk in milk. Stir constantly until slightly thickened, coating a spoon, about 30 minutes. Mix in chocolate until incorporated and keep on top of double boiler for an additional 15 minutes, stirring occasionally. 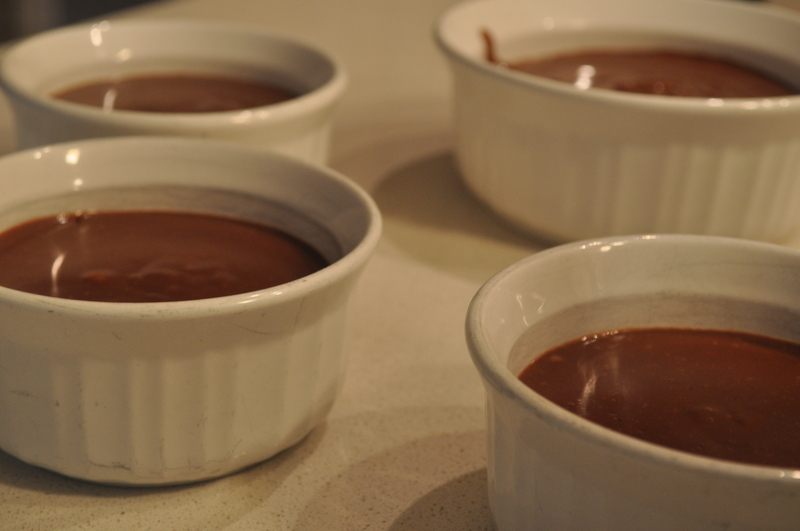 Pour into ramekins or bowl and refrigerate until chilled, about 1 hour. I have this thing. It’s slightly embarrassing, really. But whenever I go to a new place or a new environment for whatever reason, I have to have a cry. Like a big, loud, ugly, homesicky cry. And then I’m great! I get it out of my system and enjoy the rest of the time I’m in that new place. It happened during a middle school trip, when I first went to college, during a summer internship, and shamefully when I got my first apartment. It has become an expected, albeit slightly ridiculous, routine. When I went abroad for a semester in college, my mom thought that it would be a good idea to send a care package before I even got there. You know, in the hopes of preventing the ugly cry. In the package, she included a huge container of homemade granola that my family has been making for years. It embodies everything that is homey – warm and cinnamony and cozy. My roommate grabbed one handful of the crunchy stuff and immediately called it magical. Actually, what he really said was “magical Indian granola” but we don’t call it that. Turned out that the magic didn’t stop the cry, but it made me feel better. Oh, and! 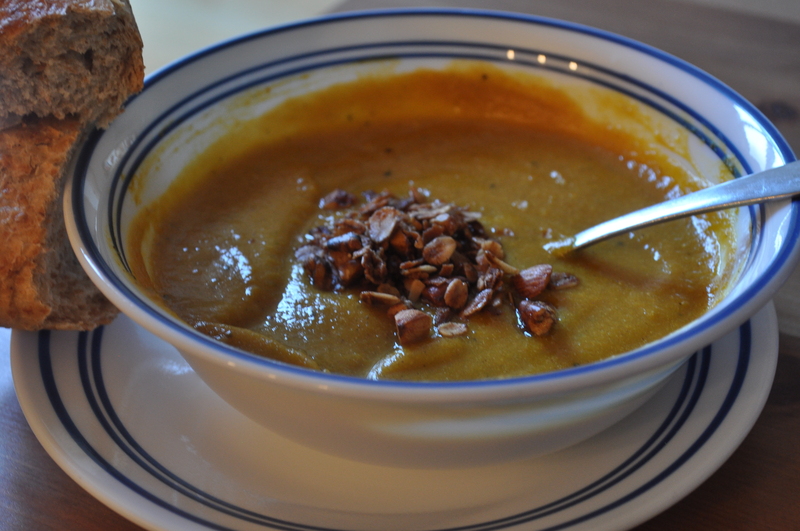 Its crunchy wholesomeness is especially appropriate for this resolution-filled time of year! Homey and wholesome and quite tasty. Feel the magic. 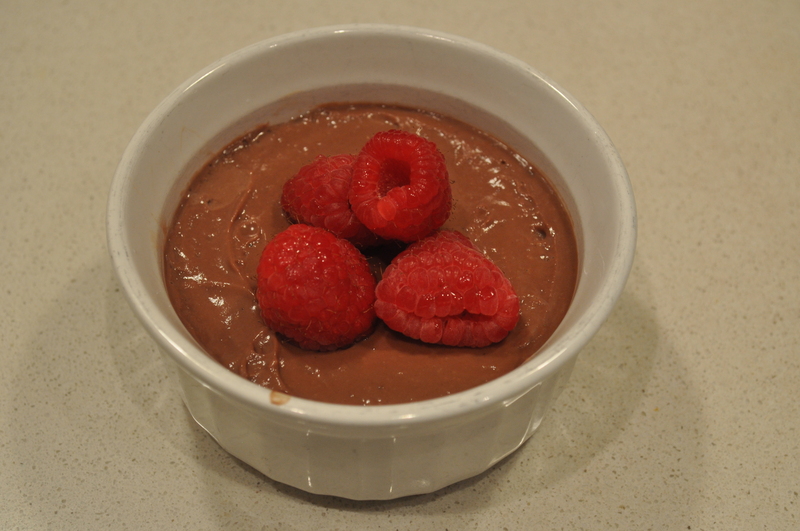 Read how my sister inspired Kira to make this recipe. 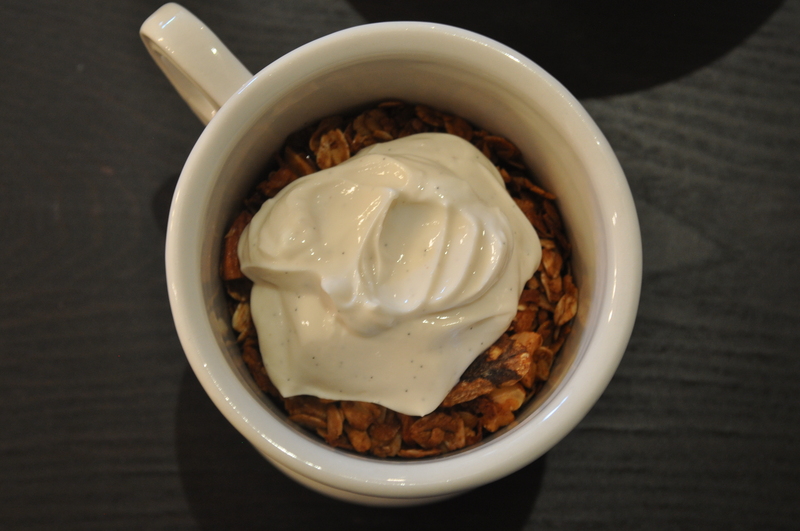 And as a teaser (because who doesn’t love those), this granola is even delicious in butternut squash soup (recipe coming soon!). Preheat oven to 300 degrees. In a large bowl, combine all of the dry ingredients, including cinnamon and salt. In a smaller bowl, whisk together all of the wet ingredients. Pour the wet ingredients into the dry ingredients and mix until everything is well coated. Evenly spread out on to a baking sheet. Bake for about a 1 hour to 1 hour, 15 minutes, stirring every 15 minutes to ensure even baking. Let cool completely. 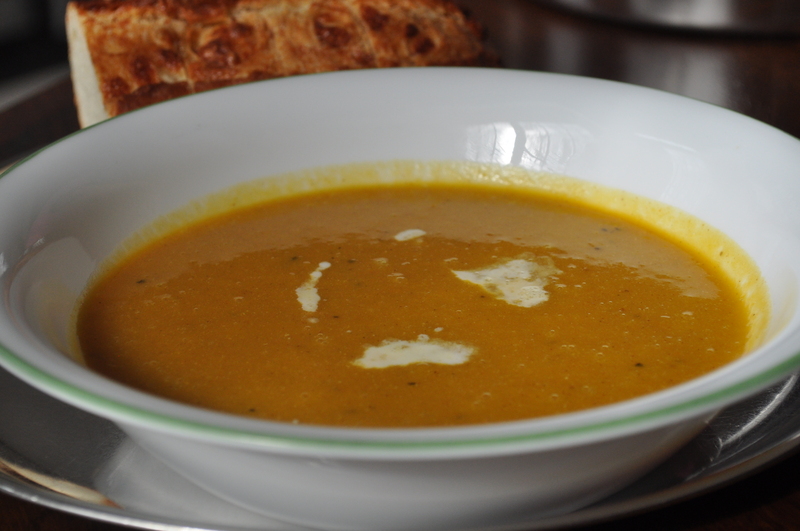 Enjoy with milk, yogurt or soup.